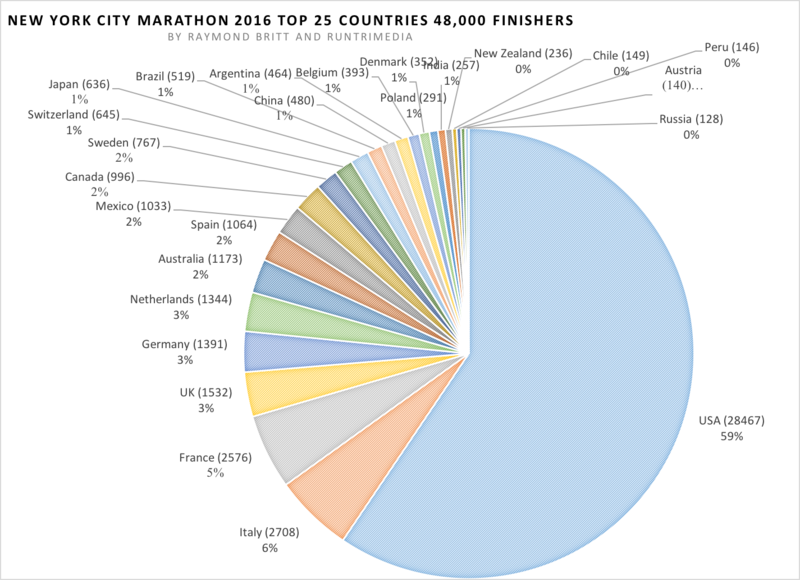 A record 50,643 runners finished the 2017 New York City Marathon, in an average time of 4 hours, 37 minutes. 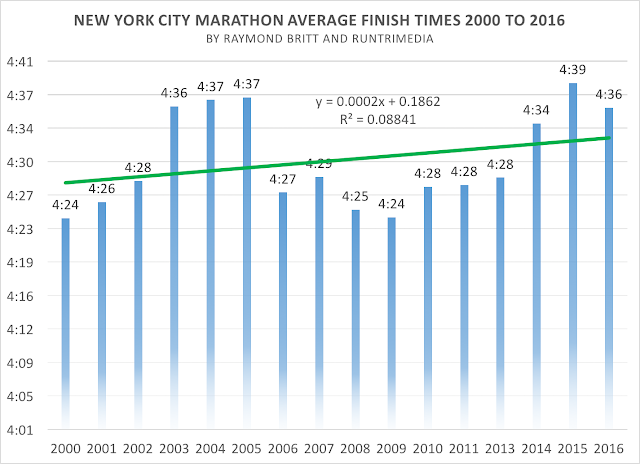 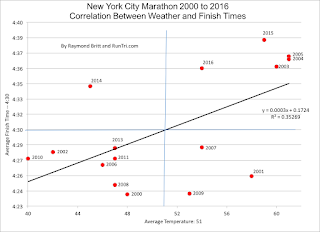 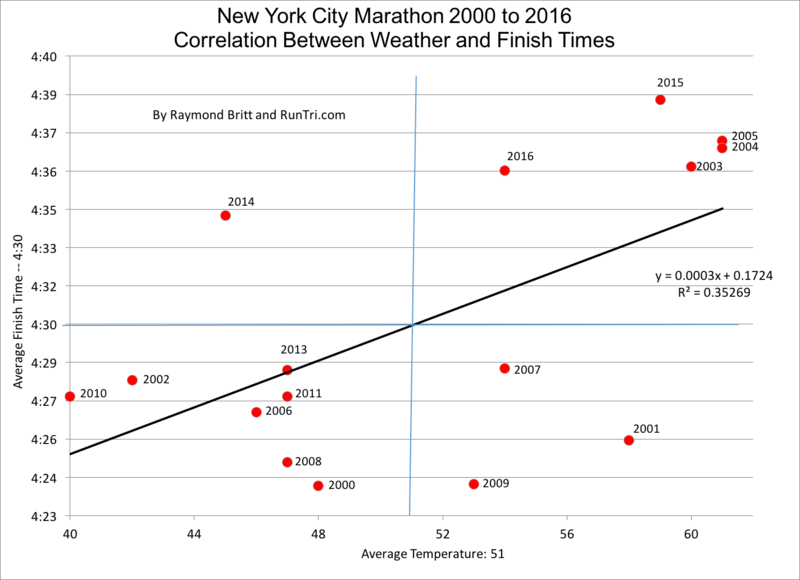 The average finish time was second slowest in the last 17 years (only 4:39 in 2015 was slower). 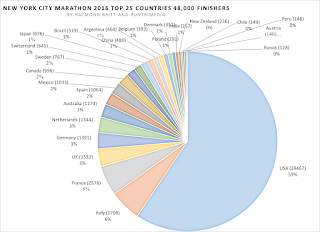 Shalane Flanagan's victory, the first by an American woman in 40 years, was the race's highlight; the men's winner, Geoffrey Kamworor, edged Wilson Kipsang by 3 seconds.